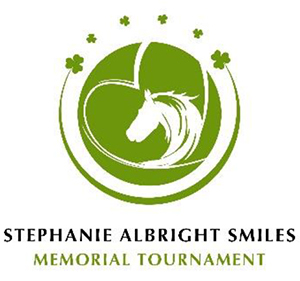 Please join us for the Stephanie Albright Memorial Tennis Tourney to be held on Saturday, March 30, 2019 from 7-11 pm at Circle D Tennis Club. There will be a tennis round robin, reception with cocktails and hors d'oevres, and a silent auction. Net proceeds will benefit both the Therapeutic & Recreational Riding Center in Glenwood, MD as well as funding tennis scholarships at Marriott's Ridge High School. Scholarship recipients will be selected on the qualities of leadership, team spirit and good sportsmanship — all qualities embodied by Stephanie on and off the courts. In addition to her family, friends and tennis, Stephanie loved listening to live music and of course, dancing! One of her favorite bands, Bad Moon, will be playing throughout the event so please bring your dancing shoes! Join us for a memorable evening to celebrate our beautiful girl! Click here to download the registration form for this event.